The tea transformation of the New Yorkers came abruptly as matcha bars are taking the fast-paced city by Sandy's coup-de-force. Trawled in a lidded paper cup across the city to work, matcha has a devote following. 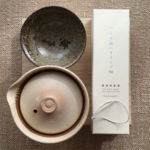 Alongside the increasing marketing power of the Far East, patience has been brewing on the tea neglected New York scene. 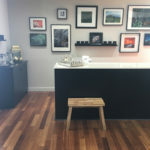 The trendy Manhattan tea shops now offer enough quality and Instagram snappy diversity that even the coffee metropolis is turning to the slower mode with tea. Although the Indian spiced chai appeared at the American coffee chains first, matcha has entered the growing tea repertoire at these globally successful fuel stations for city workers. By acquiring Teavanna, Starbucks has signalled the domestic consumers’ shift to tea, even in desserts. Matcha flavoured chocolate, cookies and chiffon cake have settled in the America’s pastry shops. The tea transformation of the New Yorkers came abruptly as matcha bars are taking the fast-paced city by Sandy’s coup-de-force. Trawled in a lidded paper cup across the city to work, matcha has a devote following. In the Nomad Hotel hip area Chalait tea bar sets you until the next meeting, while in SoHo and the West Village two brothers transplanted their caffeine addiction from Williamsburg to the more lines forming Matcha Bar on Manhattan. The later is not for serious tea connoisseurs, if you are fine with the Starbucks quality though, then spike your day with their power green dose. 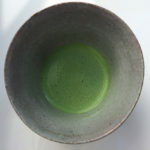 Charged with double as much caffeine as in a cup of espresso and a slight bitterness, the whisked Japanese green tea powder is softened by milk or any fashionable dairy-free alternative into a latte. A health focused gal pal of mine, cannot envision a day without getting her matcha fix even at her favourite Aussie cafe. 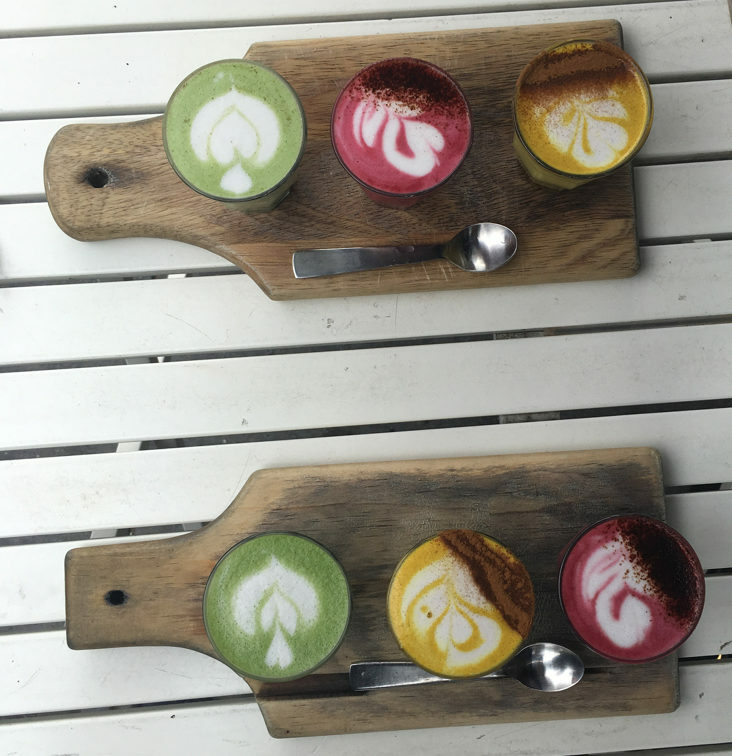 Next to the signature flat whites at the Bluestone Lane Collective Café you can order a rainbow latte tasting – golden turmeric, grassy green matcha, and even an ultra purple-pink beetroot. We adored and sipped them together – the sun-kissed turmeric latte won it for me. 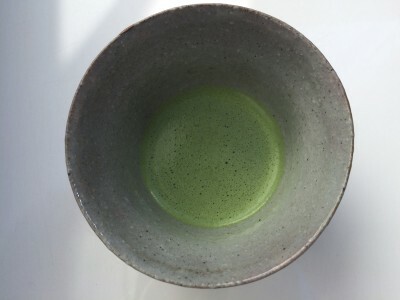 Another New York-based Australian-style chain, Two Hands Café also serves matcha latte as do many restaurants like Jean Georges’ ABCv, and Kajitsu fanfares the finale of the kaiseki tasting menu per tradition with a bowl of perfectly whisked pure matcha. Omakase sushi counters tend to serve houjicha (roasted green tea) at the end. 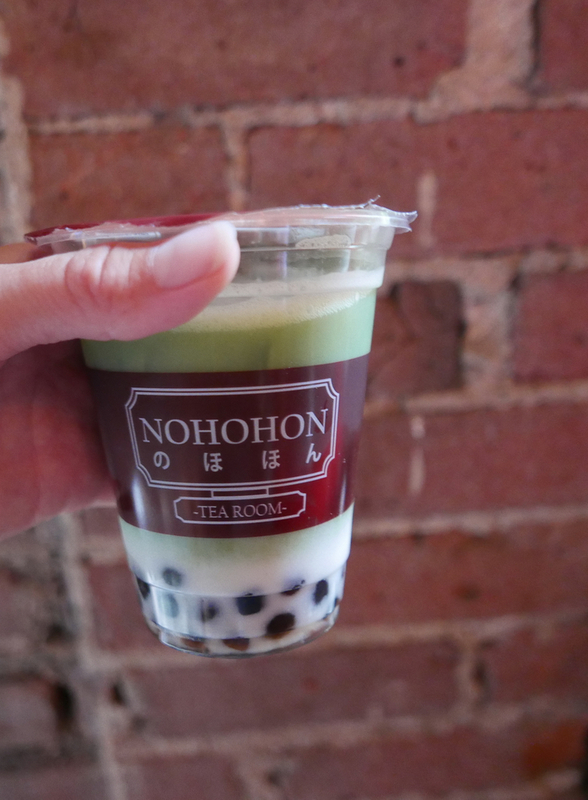 If you insist on having even your matcha “clean”, then NOHON matcha bar is all organic, mostly vegan transplant from Canada to Manhattan’s East Village. Their house-made, chemicals-free tapioca pearls, beyond the thrill from the chewiness, are caramelised for more flavour. Till 5pm you can sip your trendy Manhattan tea at the karaoke bar next door. Considering matcha’s high caffeine load, the time limit guides you to a more sound sleep. 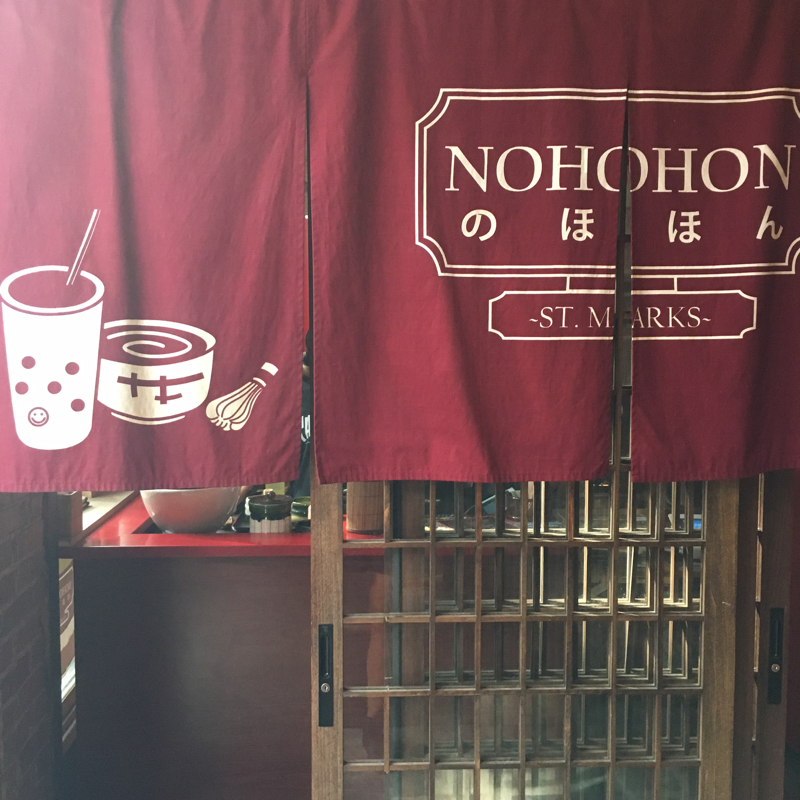 Still like with most trendy Manhattan tea spots, Nohon is more a take-out than for savouring a top grade matcha from beautiful Japanese pottery. 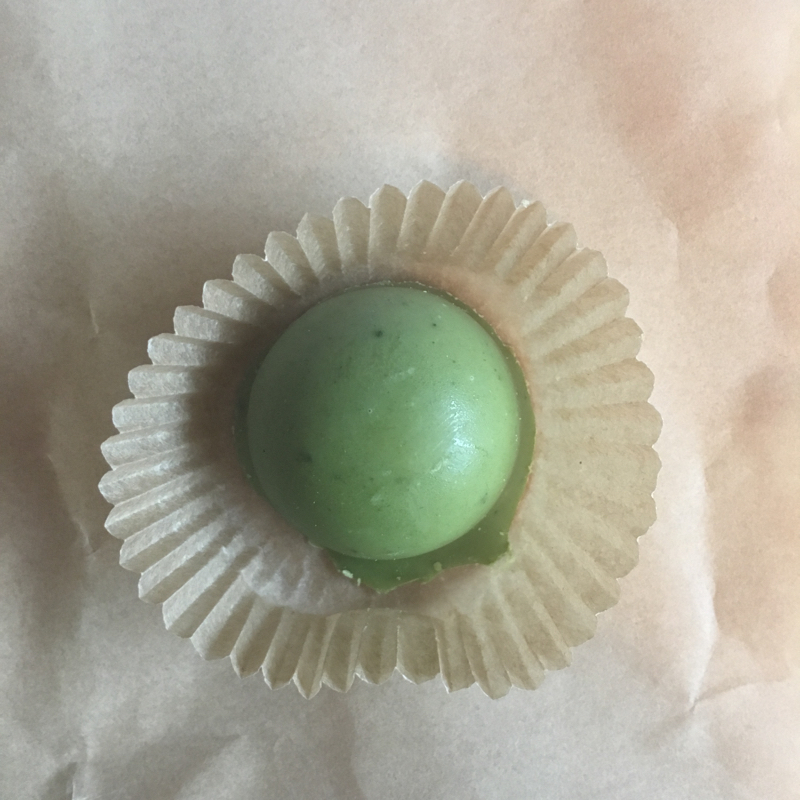 I like their white chocolate matcha truffles, sweetened by a low-glycemic coconut sugar and plumped up with a goat milk powder. They are balanced, not too sweet. The organic almond or soy milk for the vegan matcha latte can be further enhanced by vanilla (Tokyo Fog) – the bestseller, caramel (Macchiato), lavender (Furano Field) or topped with house cooked adzuki beans. 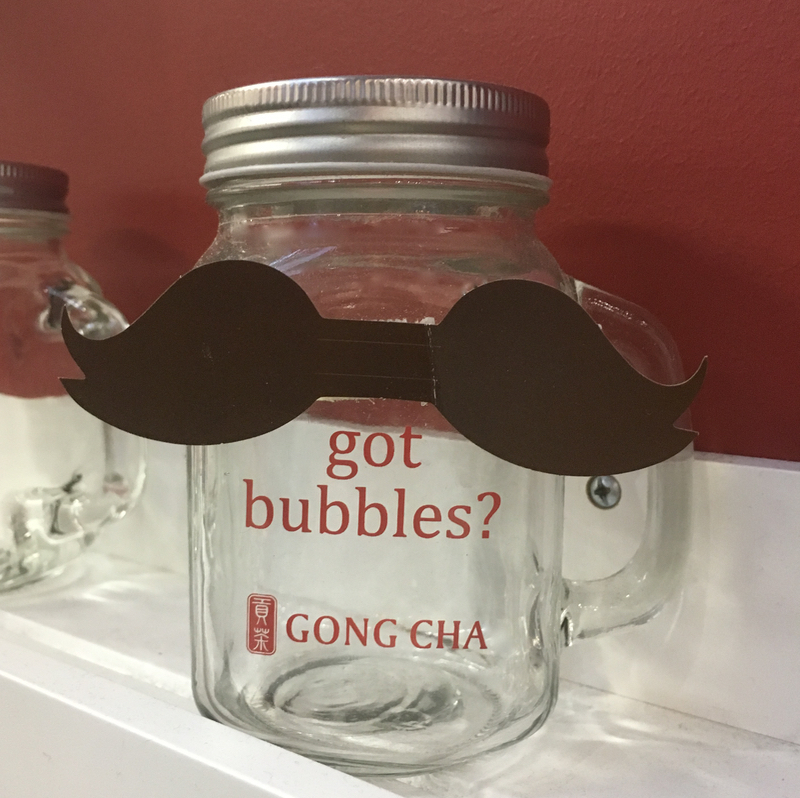 Bubble tea is also turning on the East Coast after its boom in California. 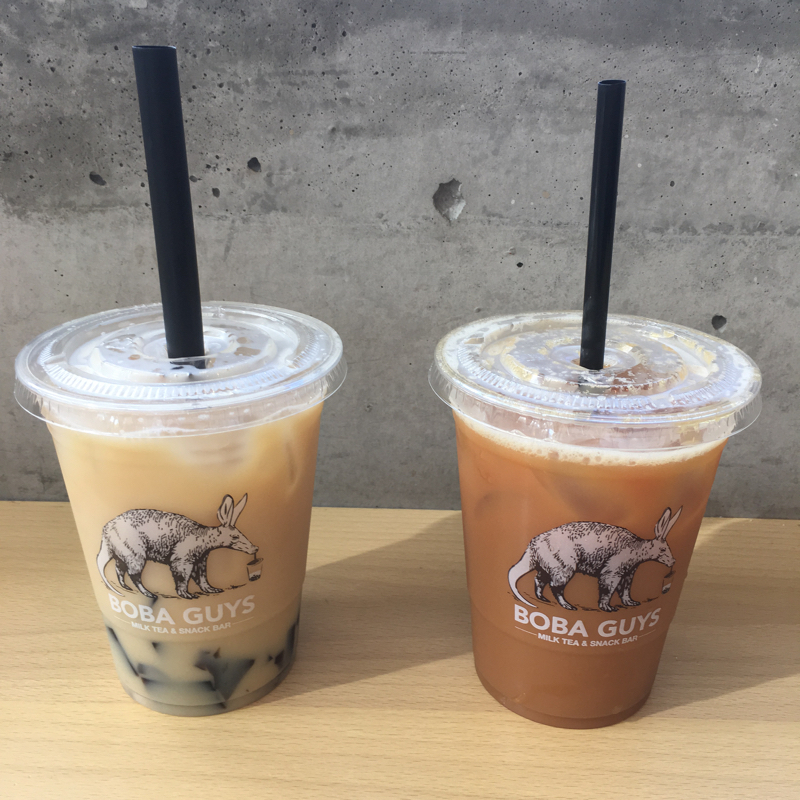 I must confess that my daily consumption of boba tea when living in Singapore and Taipei refined my palate so not just any nasties concealing beverage would do. Some of the super cheap branches that crossed over from Asia serve poor quality, powdered milk meets health-risky chemicals enhanced tapioca pearls, beware! I wrote about bubble tea and the millennial tea trends globally in other posts, but here I highlight the best quality trendy Manhattan tea spots cooking their tapioca perfectly with transparent integrity. 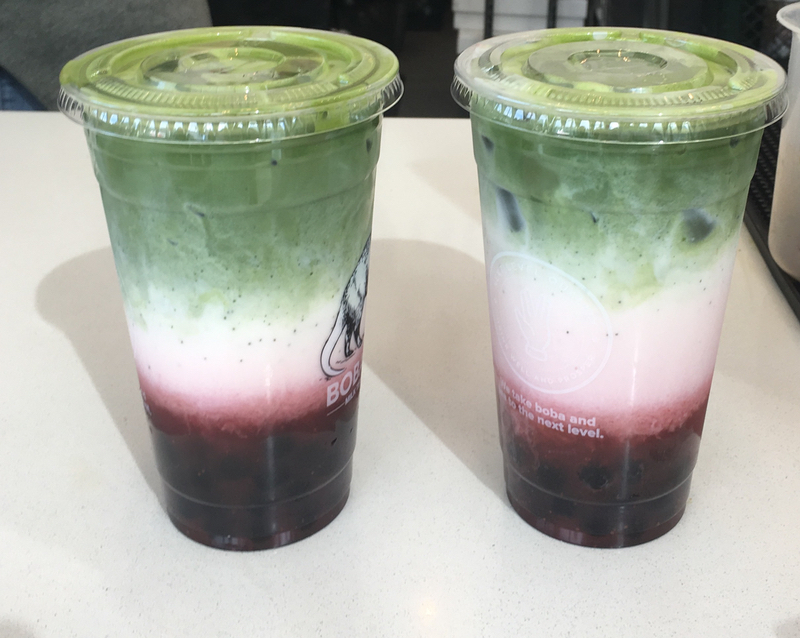 Some sell more edible tea beverages to go, that in Taiwanese dessert-like fashion have landed in a strong fleet of branches in New York. Like Boba Guys, the San Francisco mega hit with an American cleaner, sweeter and more indulgent ethos, who debuted on the West coast. The ever present lines of customers prove their knack of the local tastes. 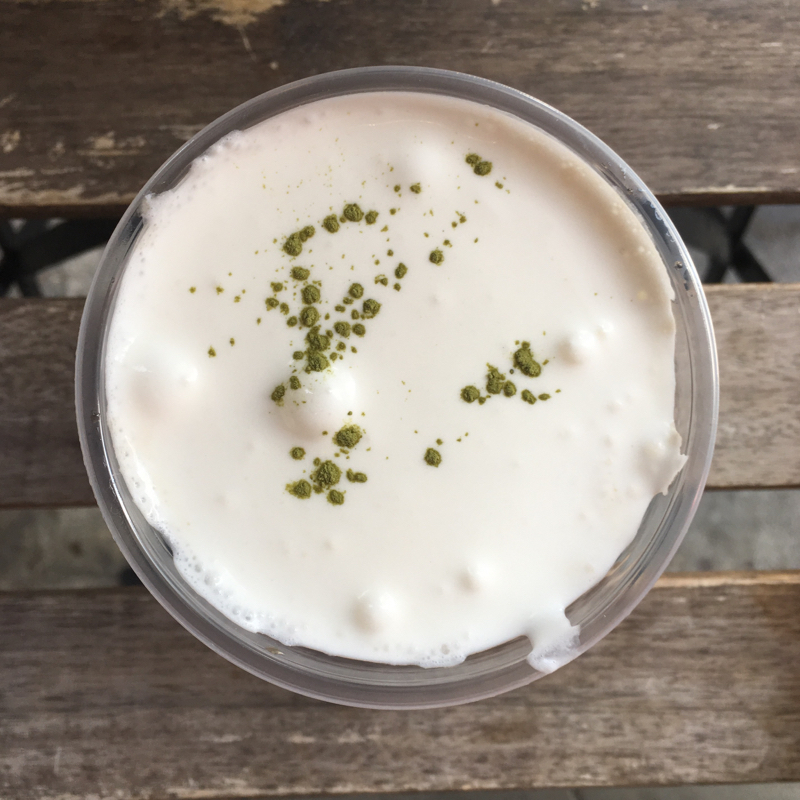 I am not a fan of their speciality rainbow dessert-like sugary drinks, but their Strauss organic milk tea is balanced, the oat milk dairy alternative is original and the real natural tapioca pearls are house made daily from scratch. No fillers, and nasty chemicals will distract you from cleaner indulgence. The ice and sugar level can be adjusted in most, except for some signature drinks that had been pre-blended. 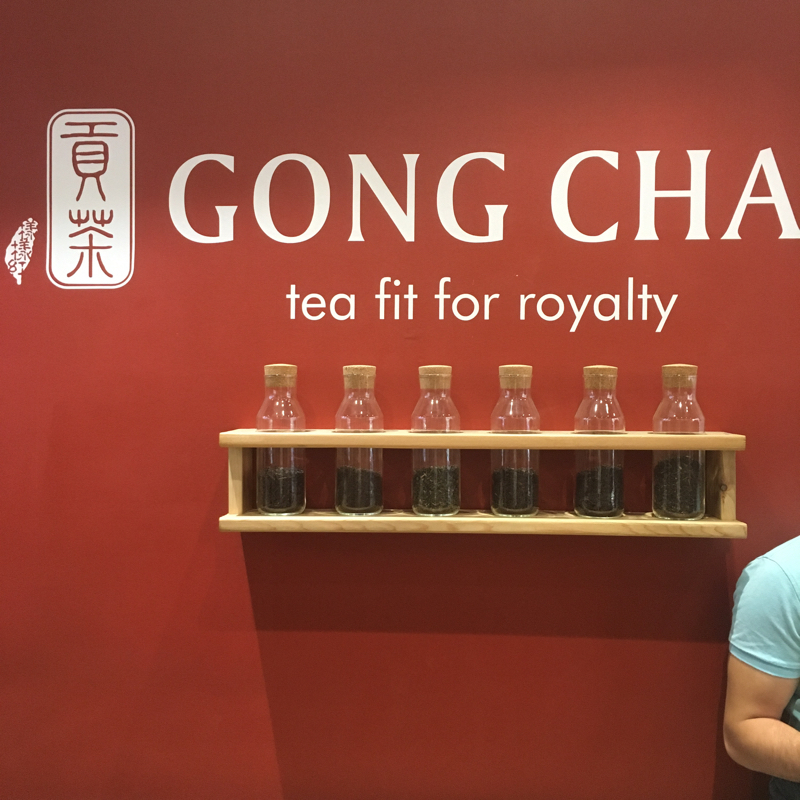 One of my Asian favourites is Gong Cha. Originally from Taiwan, the brand has been expanding like a blitz across Asia to Europe and the US. In New York, their 38th street branch prepared their signature real milk cream topped teas best. Hot lattes (I was put off by the overt sweetness of the Winter melon latte, more like hot milk drink, soy is available) are not their vice, so go iced with an adjustable level of diluting with the frozen water. 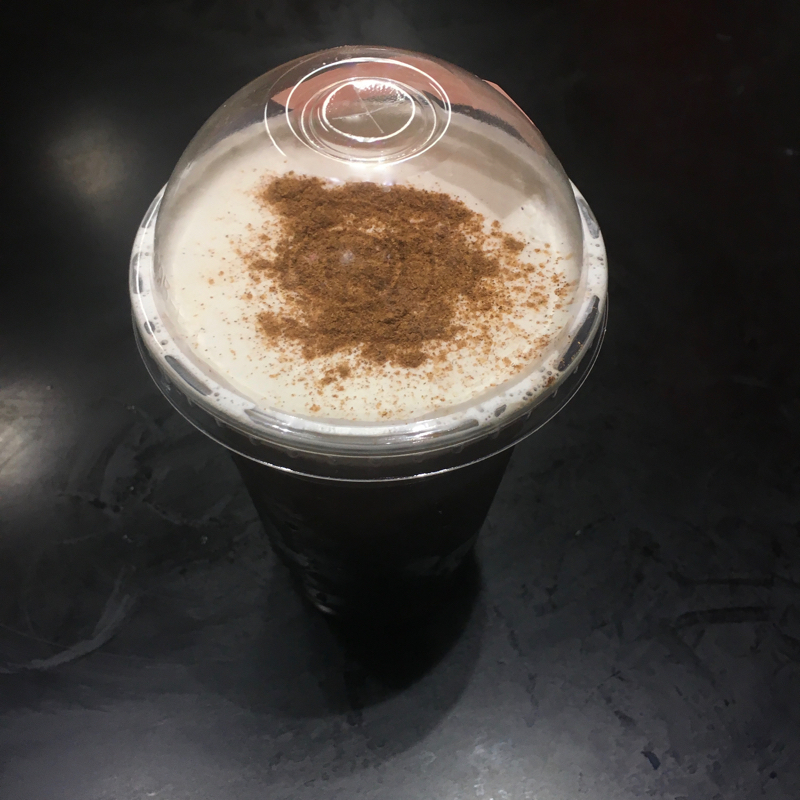 My favourites from Gong Cha include the Pumpkin Spice topped Mustache Series. 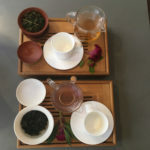 The lush, creamy milk foam topped oolong tea with sweet coconut jelly or the classic boba. The Mustache Wintermelon is slightly sweet so avoid adding any sugar into it. I like adding coconut jelly or basil seeds. Ask for no or the lowest level of sugar if you are after not masking the tea’s fragrance. Extra toppings for a surcharge include white pearl, pudding, herbal jelly (bitter), ai-yu jelly, basil seeds and red bean (adzuki). Almost everything is customised, except for some specials, two sizes, dairy-free (except for the Mustache series). Herbs in, dairy out, house made nut milks pour over, please. Caffeine-free, less allergens, while promising glow, happiness, immune boost or antibacterial clean up, that is the new health spiked force battling over the American tea palettes. Naturopathica in Chelsea has adorned their natural spa with any curious mind attracting Vitality bar. Offering some loose leaf teas, kombucha on tap, but the cue here are herbal tea blends, tonics, elixirs, superfood smoothies and tea lattes steamed with an ultra-dense house almond and coconut milks. Pour in to rejuvenate, at least psychologically, your body and mind. The TRENDY MANHATTAN TEA scene constantly evolves. Like the ramen outlets that are being squeezed out by poke pop-ups, the nitro coffee shops are being swallowed in part by the booming matcha and bubble tea swirling from the Far East. Even some concept stores like Miansai in SoHo include a tea counter serving their own signature hot teas and kombucha (fermented slightly fizzy tea) on tap. It is easier than ever to tea in New York.